We are only a few short weeks into this brand-spanking new year, and TVs are blaring with eating program ads, magazine covers are screaming about how to “Lose 10 lbs. in a week!” and gyms are overflowing with people running for their lives on treadmills (Run, Forrest, Run!). Naturally, the CTBites answer to the holiday indulgences? EAT! Ok, ok…eat…HEALTHILY! Our fair state is brimming with amazing grocers, restaurants, and speciality stores that can help you get back on track after a season of going full-tilt boogie with the eating and drinking. The best part is that everything is so delicious and interesting. Branch out this year and try some new flavors and foods…goji berries, Matcha, Cauliflower pizza crust (wha! ), Jackfruit! Dive in and explore. Here are some venues that will help you do just that.  One more note: We fully realize that due to the sheer amount of noteworthy establishments, we are not able to list them all here. Please refer to our past Healthy Eats roundups for more listings and also, please chime in with places that you know and love. The more the merrier! Kombucha is a delicious and bubbly fermented tea that has existed for hundreds of years. It is raw, non-alcoholic, and made by fermenting sweet tea with a live kombucha culture. The culture of bacteria and yeast that is critical in brewing kombucha is what transforms sweet tea into a beverage with completely different properties-and not just in taste! After fermenting, the beverage contains loads of healthy organic acids, beneficial bacteria, vitamins, antioxidants and enzymes. These works together in an adaptogenic tonic that supports nutrition absorption, digestion, liver function and detoxification, joint health, immunity, pH balance, and overall well-being. Cross Culture Kombucha is made with high-quality ingredients, and kept in raw, live form with no preservatives. They use a single-fermentation process, creating flavors simply with tea blends (Jasmine Green, Earl Grey, Original Green and our Limited Edition Tea), and never add juices or additional sugars, which is why they proudly list their ingredients on the label in bold large type. They are Danbury's first kombucha brewery and happily purchase ingredients from local suppliers. Cross Culture is now sold at 27 retailers, so check their website for locations. Experience tea differently. You’ll also enjoy saying the word…Kombuuuuucha. This shiny diner looks like your typical diner but really…it’s not your typical diner. This “finer diner” serves delicious, rustic, honest, diner-inspired comfort food. From classic, nostalgic flavors to new twists on old favorites, the streamlined menu covers traditional diner ‘greatest hits’ from short-stack pancakes to grass-fed beef burgers served in a bright and charming atmosphere. Anyone seeking healthy fare will be happy to find vegan, vegetarian and Mediterranean options, as well. Gone are the days of over-buttered grills and fried, fried, fried! Healthy breakfast items include avocado on multi-grain toast topped with an organic sunny side egg, roast tomato and pickled vegetables, hearty bowls of muesli, Lemon Pancakes, fresh Huevos Rancheros or sides of house-made breakfast sausage, herbed home fries, and organic teas. Local ingredients fill the all-day menu that spans a variety of dishes from “creamless” Creamy Tomato Soup, burgers on fluffy brioche buns and crisp and fresh salads. Open 7 days, breakfast to dinner. And everything in between. 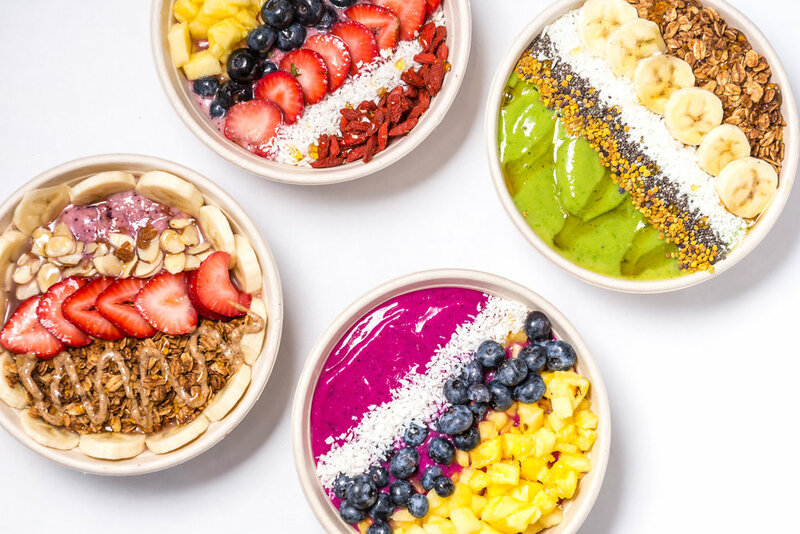 The Granola Bar, a popular breakfast and lunch spot, has developed a loyal following in Fairfield and Westchester Counties, having created the perfect intersection of healthy and indulgent. 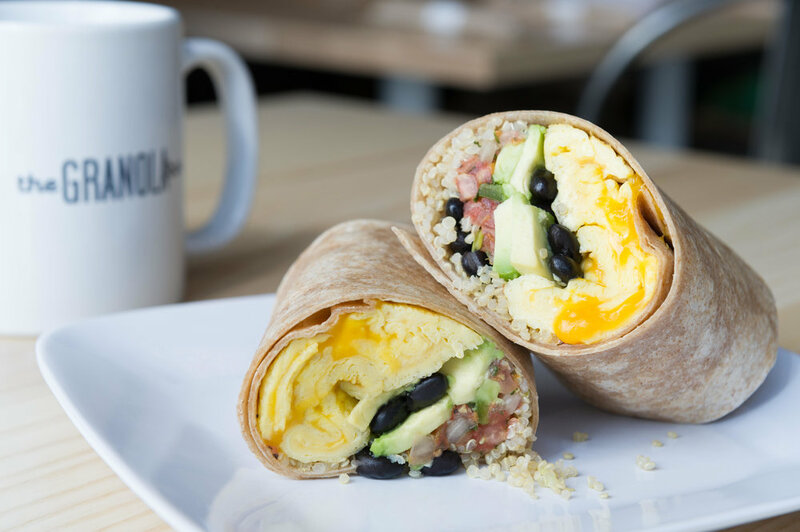 Set to open their sixth location at 1876 Black Rock Turnpike in Fairfield this winter, the healthy eatery is known for its all-day breakfast and lunch menu that boasts freshly made eggs, avocado toast (with a never-ending list of toppings), sandwiches and wraps, salads, parfaits and, of course, granola. Add to that, Toby’s Estate coffee, signature smoothies, and an array of freshly made baked goods for a variety of dietary needs. Many fans of the restaurant commend their dedication to serving fresh, healthful dishes and offering a multitude of gluten-free, vegan, and paleo options for diners. With every dish made-to-order and customizable to each customer’s tastes, it’s no surprise as to why the restaurant has become an instant favorite. Open 7 days. G & H also stands for Goodness & Health! As Fairfield County’s go-to gourmet market and caterer, their cases are overflowing with delicious prepared food that is made from organic, healthy and clean ingredients - antibiotic and hormone-free poultry, grass fed beef, and deep water Norwegian salmon. Organic grains and (wherever possible) locally sourced vegetables. Enjoy made-to-order hot breakfasts daily, a stunning selection of freshly brewed artisanal coffee and squeezed juice drinks from their juice bar using only real fruits and vegetables, homemade soups, and an extensive salad bar with various lettuce choices, healthy proteins, toppings and even 8 homemade dressings. In addition, Garelick & Herbs has made a real commitment to dietary considerations. They offer fresh, flavorful and exciting vegetarian, gluten-free and vegan options that are clearly labeled. Everything is made in house and from scratch-no pre-cut or chopped ingredients! Garelick & Herbs has been nourishing and supporting the community since 1993 and is focused on bringing families healthy and delicious foods for life … Good Food Good Mood! Open 7 days. With just a year under it’s belt, Maikana Foods has taken the healthy food world by storm. If you haven’t heard of Maikana, it is where the love of healthy and wholesome eating meets the convenience of delivery (sorry pizza guys). Maikana specializes in power bowls that are protein & nutrient-dense. Think quinoa bowls with leafy greens, turmeric-roasted sweet potatoes, roasted beets, steamed haricot verts, cumin-roasted chickpeas, fresh oranges, toasted almonds, a sprinkle of goat cheese and drizzled with homemade cranberry maple chia seed dressing. Bet you can’t wait for lunch now! Maikana is a unique spin on wholesome eating; from their PB&J parfaits to their vegan soups and gluten free sides, Maikana is saving you time and energy by creating ready-to-eat healthy bowls. The best part is that their menu changes weekly, so there is never that bored-of-eating-the-same-ol’-thing feeling. They currently deliver to homes and offices in Norwalk, New Canaan, Darien and Greenwich, with more towns on the horizon. Discover the hidden gem that is NewBrook Paleo Kitchen! At NewBrook, you don’t need to give up taste and style while eating healthfully (we all like that, right?). Their chic and intimate café accommodates eat-in dining, take out meals, unique gifts, and elegant 6 course tasting dinners on select evenings. Although their food is always free of gluten, milk, corn, and soy, the offerings are flavorful and creative. The lunch menu includes an array of choices: Organic Pulled Pork Sandwich, House-Made Bone Broth, Cauliflower Crust Pizzas, Bountiful Salads, and much more. They also feature delicious daily specials. Come indulge in an organic cappuccino with almond milk paired with one of their acclaimed gluten-free desserts, or simply pick up satisfying snacks or frozen house-made paleo foods from their grab-and go-freezer. Mother-daughter owners, Cindy and Danielle Hartog, launched NewBrook with the goal of sharing their love of food that satisfies both the body and mind and they truly care about your experience. Even if you aren’t paleo, you won’t be disappointed! Branch out, try something new! There is easy parking at 500 Riverside Avenue or at the lot shared with Dunville’s. NewBrook is available for private events and special orders/ meal plans are encouraged. Closed Sundays and Mondays. Let food be thy medicine and medicine be thy food. What you put into your body is exactly what you get out of it, right? So eat to feel good and live well! Organika wants to help you to detoxify and repair from the ever-present toxins in the environment. It is this love of people and food and hope for humanity that drives their desire to create gluten-free, GMO-free, vegan and vegetarian fare, from beverages to salads and entrees to desserts. Try Pulled Pork Tacos (using Jackfruit, not pork), Chocolate Avocado Mylk Shakes, Sprouted Bagels, Iced Matcha Mint Lattes, juices, Acai bowls, salads galore. Healthy can taste good! Revel in a new found energy! Make health and vitality a priority by eating in a preventative manner… and enjoy yourself along the way. Open 7 days. This decades-old feminist bookstore and cafe serves up a healthy plate of organic, seasonal, ethnic good food along with good vibes. It is, quite simply, a landmark in these parts. With a seasonal vegan and vegetarian menu, you will find homemade breads, quiches, acclaimed soups, salads, entrees such as Jamaica Jerk “Chicken” or Colcannon-Irish potatoes with Shiitake gravy, and decadent desserts like Chocolate Silk Pudding that keep customers continually satisfied. Lunch, dinner and brunch are served, along with a wine and beer list, some of which being organic. All have been selected for a taste that is unique and memorable...just like the restaurant itself. One note, it is self-serve here, so expect to grab your own utensils and plates for the table. Closed Mondays. Quick healthy options for lunch (sandwiches, wraps, salads) and oodles of healthy juices, smoothies, protein shakes, along with a list of “boosters” to add like chia seeds, goji berries, turmeric, and bee pollen. They offer juice cleanses to get rid of those pesky toxins and waste and there is even a cycling studio attached for some on-premise cycling exercise. Boost it all in one place, baby. Open 7 days. Serving foods with ingredients that you can pronounce has long been the mantra of owners Claire and Frank Criscuolo. Thriving since 1975, Claire’s offers, well, a cornucopia of healthy eats and supports a variety of environmental initiatives. Theirs is a Kosher certified kitchen, they use compostable cups and takeout boxes, anything plastic is BPA free, and they say no, no, no to GMOs, to name just a few ways that Claire’s is working to make the world a better place and their community healthier. Offering breakfast, sandwiches, soups, salads, flatbread pizzas, mexican entrees, veggie burgers as well as vegan and dairy-free desserts, Claire’s caters to a variety dietary needs and preferences. Oh and yes, they have a catering menu, too! Bring the love to your next event! Whether you eat vegan, paleo, or anything in between, Embody has the perfect offerings for all manners of healthy eating, embracing all forms of lean proteins and nutrient-dense veggies and fruits-this is not your typical health café or juice bar. Try their vegan Twisted Chia protein shake alongside our Paleo Chef Bomb salad, for instance. Diversity in healthy food selections and fast and friendly service makes Embody a top pick for healthy eating in CT. Their mission says it all: To un-complicate the simple act of eating well. Open 7 days. Fragrant Basil serves breakfast and lunch (omelettes, parfaits, Big Bowls, salads, veggie and bean burgers, wraps), soups, stews, homemade beverages (Hot Maca, Agave Lemonade, Matcha, homemade Hot Chocolate) and an extensive juice bar menu of fresh cold press juices and blended juices. They also offer a Pulse Juice Fast for 1-7 days and a kids’ menu. All are lovingly brought to you with a bit of tropical flair (both owners hail from Jamaica!). Closed Saturdays and Sundays. G-Zen in Branford, CT is the CT Shoreline’s premiere 100% plant-based, vegan restaurant. The restaurant was awarded the “GREEN PLATE” Award by Natures Conservancy as CT’s most sustainable restaurant. They source many of their organic ingredients from their own farm called Shadle Farm in Durham CT, hence offering “Seed to Table” cuisine. Enjoy Vegan Nachos, Raw Tacos, Thimble Island “Crab” Cakes, Pure Radiance Salad and much more.There is full service dining (complete with organic wines and beers) and take-out and don’t miss their award-winning food truck called Gmonkey Mobile! Grab-and-go foods for breakfast, lunch and snacks, all with “dynamic ingredients while keeping the bad stuff out.” Soups (7 Veggie with quinoa...), salads (cauliflower caesar...), wraps (sunflower seed tuna wrap...), cereal bowls (Acai bowl...), cold pressed juices, superfood smoothies, falafel snack packs, granolas, “anytime cookies”...the list goes on and on and you are sure to enjoy it all. They also cater for groups of 6+. Make your next lunch meeting a healthy one. Open 7 days. Organic, farm-to-table, non-GMO, and Slow Food equals good food. From bright morning smoothies and juices and hearty breakfasts like Quinoa and Oat Waffles to Vegan Tuna Sandwiches and Sweet Potato Black Bean Chili for lunch, you’ll enjoy both the food and atmosphere at this charming and sleek cafe. Pssst…their Pecan Sticky Buns are only made on Fridays and Saturdays. Just mentioning it….Open 7 days. In the very Quiet (but charming) Corner is a restaurant not-to-be-missed. Working with local farms and vendors, Heirloom strives to provide high-quality, organic, good-for-you food. Every dish can be ordered as vegan or gluten-free, the portions are generous, fresh and enticing-they even have vegan and gluten-free desserts such as (gluten-free) Thin Mints and Carrot Spice Cupcakes to (healthily) satisfy your sweet tooth. Check their website for daily specials like Vegan and Gluten-free Corn Chowder and Tempeh Veggie Reuben Salad. Closed Sunday and Mondays. A gluten-free market, cafe and bakery serving everything from breakfast, pizza, soups, salads, sandwiches and wraps to coffees, smoothies and desserts. Look no further-all of their baked goods are gluten and dairy free! You can also do your shopping here for all the natural-and-good ingredients to cook with at home, making life that much easier. Check their website for their breads, bakery items, and soups of the day. Open 7 days. Nature’s Temptations is a Natural Food Market, Juice Bar, Café & Deli that promotes health and wellness in their local community and is committed to providing the highest-quality organic foods and natural products available. They even support local causes that contribute to the betterment of the environment and community (nice! ), all the while striving to create an exceptional customer experience and making the world a better place. You’ll find lots of products for special diets including wheat-free, gluten-free, dairy-free, vegan, raw, kosher, along with organic juicing options and seasonal juice cleanses. Stop by and support a local business that’s been nourishing and supporting the community for over 25 years. Open 7 days. Organic, fresh, and vegan...just keep adding in the good stuff and stop worrying about what to take out, as the folks at Pure Alchemy say! You’ll be able to power your day with any number of dairy-free, refined sugar-free, gluten-free and Paleo options that are available on this exciting menu. Offering plenty of fresh smoothies, juices, salads, wraps, “burgers (veggie nut)”, bowls, and desserts, you’ll also be getting to know menu-players like kimchi, hemp seed, chaga, wheat grass and turmeric, too. Open 7 days. The Stand Juice Company is the real deal. Produce and other ingredients are sourced locally and are the products of close relationships to the many local farmers and artisans throughout Connecticut. With a healthy outlook and appreciation for the land, The Stand is thrilled to provide organic plant-based foods, such as snacks, “sammies” and “leafies” (that’s a salad to you and me) and a myriad of juices to people who have already, or have the desire to start incorporating healthy eating into their lifestyle. 21 OAK is Edible Connecticut™: fresh and natural plant-based cuisine. They prepare seasonal, vegetarian, and vegan meals, using locally sourced ingredients that focus on nutritional, well-balanced meals with distinct flavors. Their menu happily notes items that are soy, gluten, or nut free (so nice to enjoy a meal and not have to worry! ).Try their Butternut Hummus, Ginger Orange Tofu, Shwarma Gyro, soups, salads, fresh juices, smoothies, and tisanes too. They promote sustainable farming practices and sustainable living practices. We like that. Be sure to check out their FB page for daily specials. Closed Sundays. Paleo and gluten-free cookin’, good lookin’! All homemade and serving breakfast all day lonnnng. Their salads and sandwiches are build your own, giving the customer the ultimate power to love what they eat. No more “Why is there a tomato in here?”. Think Almond Crusted Chicken Cutlets, Chicken Cilantro Burgers, House Shaved Steak, paleo Coconut Brownie Muffins (breakfast or dessert? you decide), omelettes, pancakes. Eat in, take out, enjoy it all. Open 7 days.